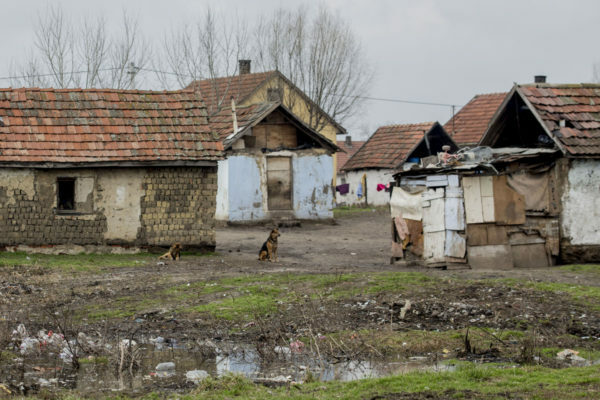 But when you cross the railway tracks you stumble upon the Roma settlement on Széles Road. There I witnessed a sight that continues to haunt me. Over a thousand Roma are crammed into this settlement. Their dilapidated huts line a dirt track with an open sewer running along one side. There is no running water, the council refuses to collect the rubbish and the people who live there have to use outside toilets. In 2014 300 Roma in the town, most of whom lived in the settlement, were diagnosed with Hepatitis. Dysentery, ringworm and TB are rife. Out of the 14,844 inhabitants of Tiszavasvári, approximately 16-17% are Roma. 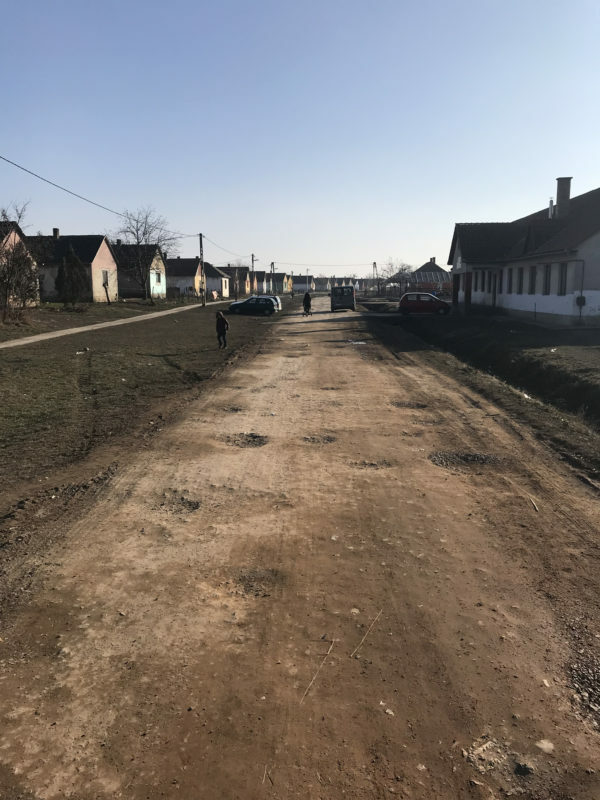 There are two Roma groups in Tiszavasvári, the Romungro who are wealthier and live in poor but well maintained homes in the main part of the town and the poorer Oláh who live in the settlement. Hungary is part of the European Union, but Tiszavasvári feels more like Apartheid South Africa or the Jim Crow South of the US in the 1950s. The local infant and junior school is called Ferenc Pethe. There are two units, one of which is in good repair, a well-equipped central school with a gym and canteen. No Roma children are allowed in this building. The Roma children go to the so-called auxiliary buildings. They are in bad repair, and have no educational equipment. The Roma children are forbidden to buy food in the school buffet and are not allowed to use the gym. Roma parents claim that their children have to attend separate graduation ceremonies. 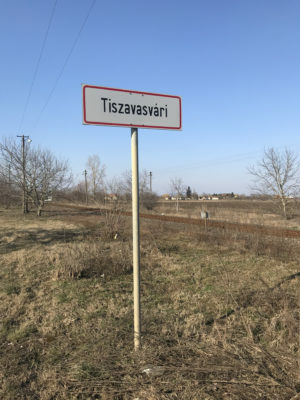 For the first 17 years after the fall of Communism, Tiszavasvári was a MSZP stronghold (Hungary’s social democratic party). But that is not the case today. Tiszavasvári is part of Hungary’s rust belt, blighted by de-industrialisation and the social problems associated with it. In 1990, 4,000 of the town’s inhabitants were employed in the local pharmaceutical plant. Today it employs less than 1,000. No major employer has moved in. During the Soviet era, large numbers of Roma were employed in Hungary’s heavy industries. Their decline has hit the Roma hard, but not just economically. Poverty, unemployment and lack of educational possibilities have increased the isolation of the Roma from the rest of Hungarian society. One of the reasons for the MSZP’s decline was its worship of the free market. Its refusal to challenge the growing levels of racism destroyed them in Tiszavasvári. In October 2006, a Tiszavasvari teacher, Lajos Szogi, was beaten to death by a group of Roma when he accidentally ran over a Roma child in a nearby village. Over the next few years racial tensions grew. Jobbik’s paramilitary wing, the Magyar Gárda Mozgalom (Hungarian Guard Movement), fanned the flames. The Guard’s president was none other than the current Jobbik leader Gábor Vona. The Guard held regular demonstrations in the town and near the Roma settlement. They introduced the term “Gypsy Crime” into the political agenda. In July 2008, a gang of racists set fire to the home of a Roma family on the edge of Nagycsécs, a town 30 kilometers from Tiszavasvári. A Roma man and his sister were attempting to flee the flames when gunmen shot them down. More random fire bombings and killings followed, always against Roma living on the outskirts of towns or villages. Arson attacks and killings of Roma continued. In February 2009, in a village just 63 kilometers from Budapest a Roma families house was firebombed. Gunmen shot and killed a father and his four-year-old son as they tried to escape. Later that year, near Tiszavasvári, a gunman killed Jenő Kóka as he set off to work at the town’s pharmaceutical factory. In 2009 racist gangs in Hungary killed at least five Roma. The election campaign of 2010 produced a radical rightward shift across Hungary’s political spectrum. Jobbik won almost 17 percent of the vote across the country becoming the third-strongest political party in parliament. In Tiszavasvári, Jobbik won a majority in the town council and Jobbik’s Erik Fülöp won the mayor’s seat with 53 percent of the ballots cast. Jobbik’s leader Gabor Vona boasts that Tiszavasvári is the “capital” of the Jobbik movement. I just want to give a few anecdotes to help describe the climate in Tiszavasvári. Jobbik’s paramilitary Magyar Gárda Mozgalom was banned in 2010, but continues to resurface under different guises. Where Jobbik controls town halls it has adopted new tactics. In Tiszavasvári, the Jobbik-controlled council is trying to legitimise its paramilitary force. It has set up a private security force, the so-called Csendorseg. This was the name of the Hungarian police groups that murdered thousands of Jews during the Nazi occupation and was disbanded in 1945. In Tiszavasvari the Csendorseg now patrol the streets separately from the police. The Csendorseg were recruited from a Hungarian Neo-Nazi outfit called the Association of the Legion of Honour (Becsület Légiója Egyesület). The association is run by another prominent far-right mayor, Mihály Zoltán Orosz, from Érpatak. As well as patrolling the streets the Csendorseg have been given responsiblity for child welfare and social service cases. The fear that this has created amongst the Roma community is palpable. In 2016 a rumour spread in the Roma settlement that Roma children were being taken away by the Csendorseg and put into state care. Hundreds of Roma parents rushed to the school and removed their children. In protest they then marched to the town hall. Chilling yes, brutal yes – and that is the true face of Jobbik.